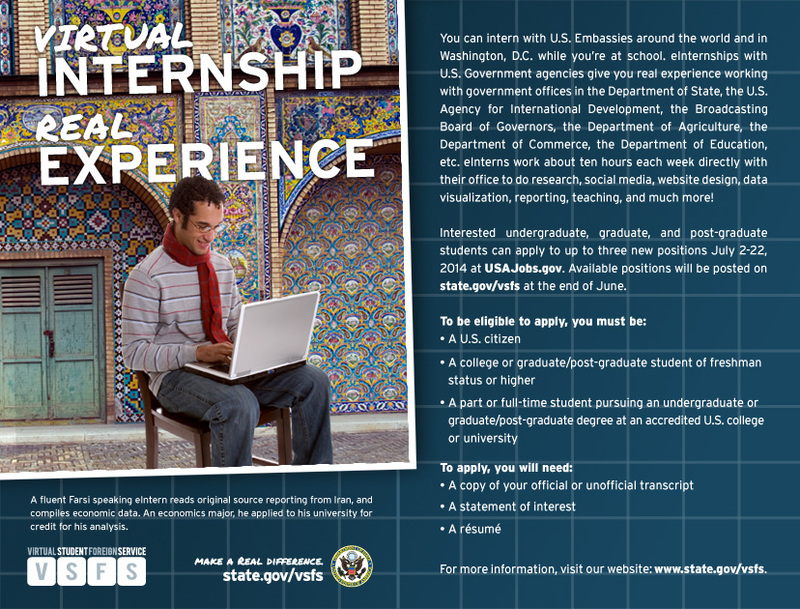 Apply for a virtual student internship with the USAID Bureau for Food Security! The VSFS program provides a unique opportunity to work with internationally-focused U.S. government agencies and gain valuable experience for your resume. Over 300 projects are available from 11 different agencies, and students can apply to their top three choices. Selected eInterns will spend 5-10 hours per week contributing to their projects during the 2014-15 school year (September 2014 through April 2015). USAID is offering 50 different projects this year. If food security is one of your interests, we encourage you to apply to the following projects with the USAID Bureau for Food Security. If you would like to contribute to Agrilinks and other knowledge management efforts in the bureau, please consider #3 below!